Follow the filmmakers on an epic 32 City- 32 Day promotional tour for their latest documentary, American Made Movie! Come along, as they promote the value of manufacturing and highlight the organizations and employers they meet in each community who upholds those values. This behind-the-tour documentary, includes never before seen moments from the American Made Movie Tour and contains exclusive interviews with the filmmakers, crew, cast, as well as new friends they meet along this incredible 32 city - 32 day journey. 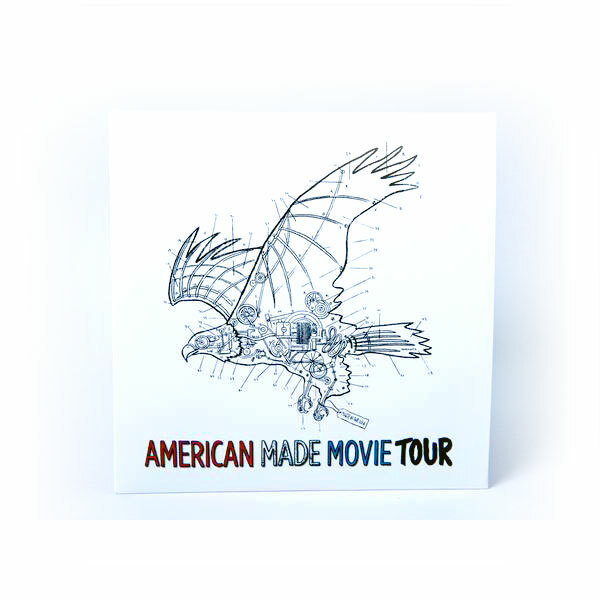 The American Made Movie Tour is available on standard definition DVD. All components of the DVD, including the disc, sleeve, and case were 100% Made In the USA.